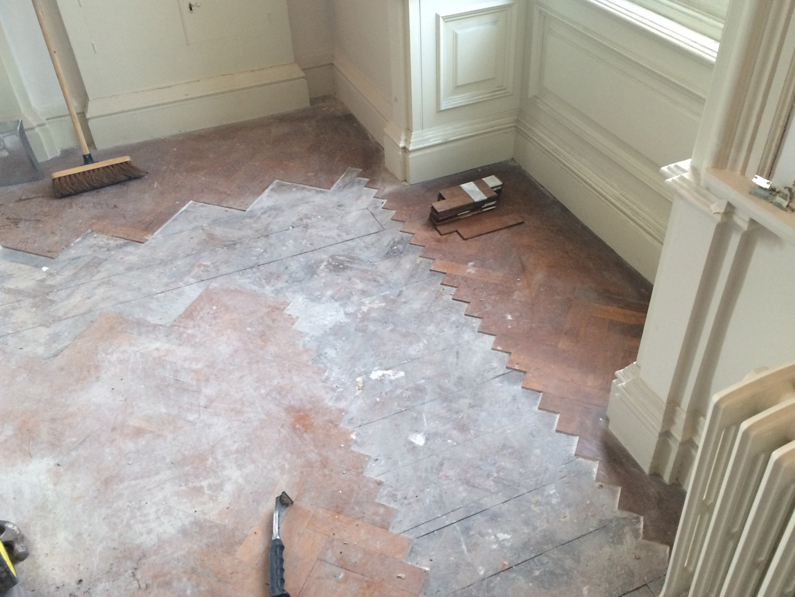 Mitchell Flooring were recently asked to refurbish all of the existing timber floors throughout the Grade I listed Stately Home that dates back to 1760 and is still currently owned by the same family who are lovingly restoring it back to a family home. 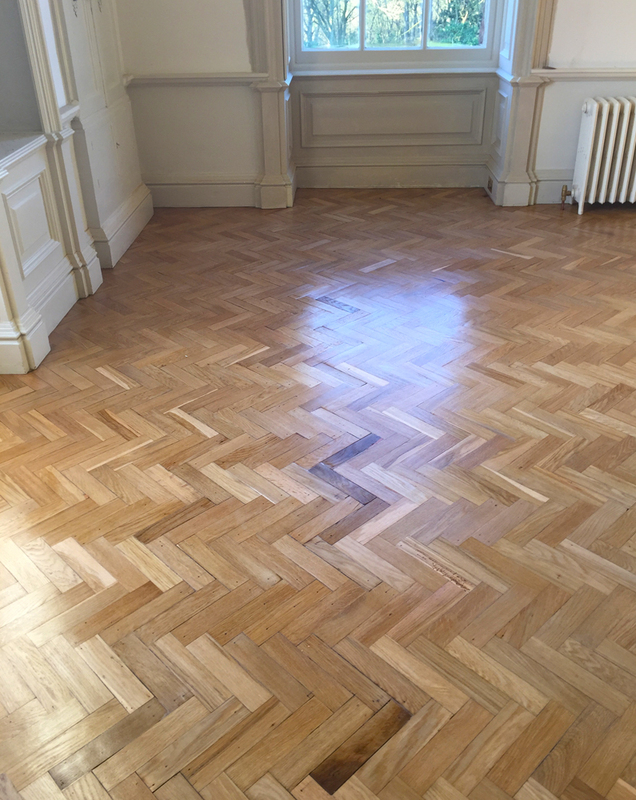 All of the floors had not been touched since construction so needed special attention and methods to achieve the results that are sympathetic to the age of the building and existing interiors, whilst still providing the family with a high performance finish. One room in particular was both a challenge and a pleasure to work on. The Drawing Room had been unused and untouched for at least 50 years. The family wished to return this room back to its former glory, whilst still having the comforts of a modern living room. 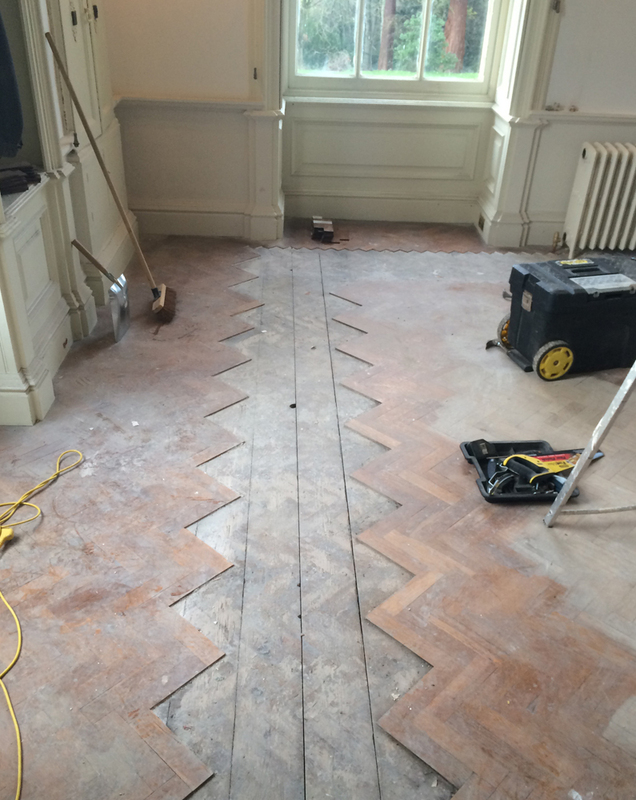 As part of the works, the heating and electrics were upgraded which meant the existing oak herringbone flooring had to be lifted in places to allow access for the pipework to be placed underneath the floor to feed the radiators. As you can see from the photograph’s we were facing a bit of a jigsaw puzzle as the blocks had been mixed up (by a third party!). The first job was to clean, sort and organise each block in preparation for relaying them. We then patiently relayed the floor taking extra care as the blocks were fragile. 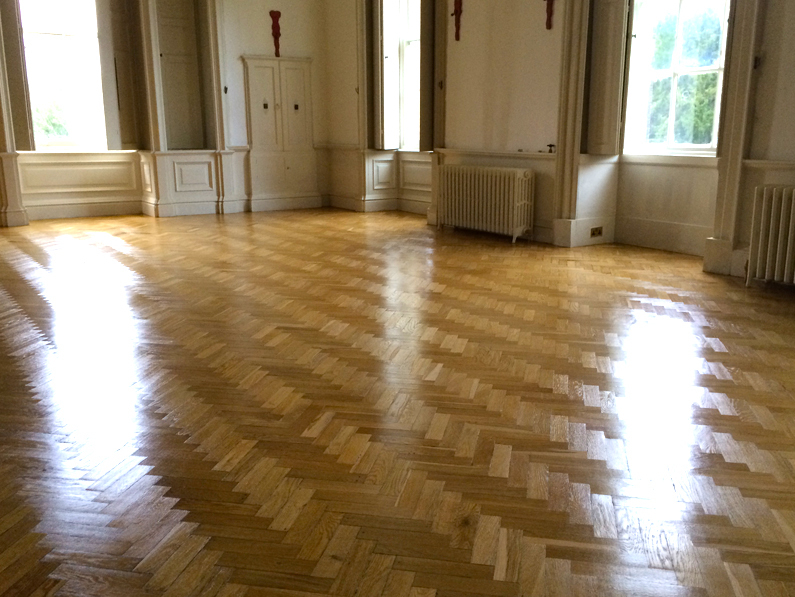 The floor was then sanded with extreme care and attention and then sealed with a satin finish lacquer. I am sure you will agree with the family’s opinion that the floor now looks amazing. We are also very proud of our works and are glad that all our hard work has paid off!